Viet Nam’s steel industry is experiencing a surge of foreign investment. Steel manufacturers from Taiwan, the Republic of Korea and India are working on production projects in several locations. Taiwan’s Tycoon Worldwide Steel has already received a license from the Vietnamese government for US$1-billion steel mill able to produce five million tons of ingots a year. Development is planned to take 10 years. In the first three years, Tycoon will invest US$539 million to build a three-million-ton-per-annum mill before expanding output to five million tons. The mill will take up 455 hectares of land. The project is significant for the Vietnamese steel industry because the country does not produce nearly enough steel ingots. Another project is being prepared by Posco of Korea, the world’s fourth biggest steel manufacturer. If licensed, Posco will invest US$1 billion to produce three million tons of steel sheets a year. Posco, which is waiting for the license, plans to spend US$340 million initially and the balance later. Sunsteel, another Taiwanese company, has applied for a license to build an even bigger steel mill in the central province of Ha Tinh. The output capacity of the US$1.9-billion project would be 4.5 million tons per year. Meanwhile, Vietnam Steel Corp. is in talks with India’s Essar to set up a US$500 million joint venture with an annual capacity of two million tons of steel sheets. 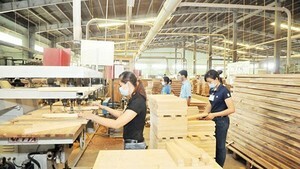 The proposed location for the mill is Phu My Industrial Zone in the southern province of Ba Ria-Vung Tau. Vietnam Steel Corp. has wanted this project for a long time but couldn’t proceed before now as its capital was concentrated on the Phu My Steel Mill. Viet Nam’s need of steel sheets is growing fast and is projected to reach 4.7 million tons in 2010, 7.2 million tons in 2015 and 10.2 million tons in 2020. Seeing just the one steel-sheet factory and the low production of steel ingots, foreign companies see plenty of opportunity in Viet Nam. 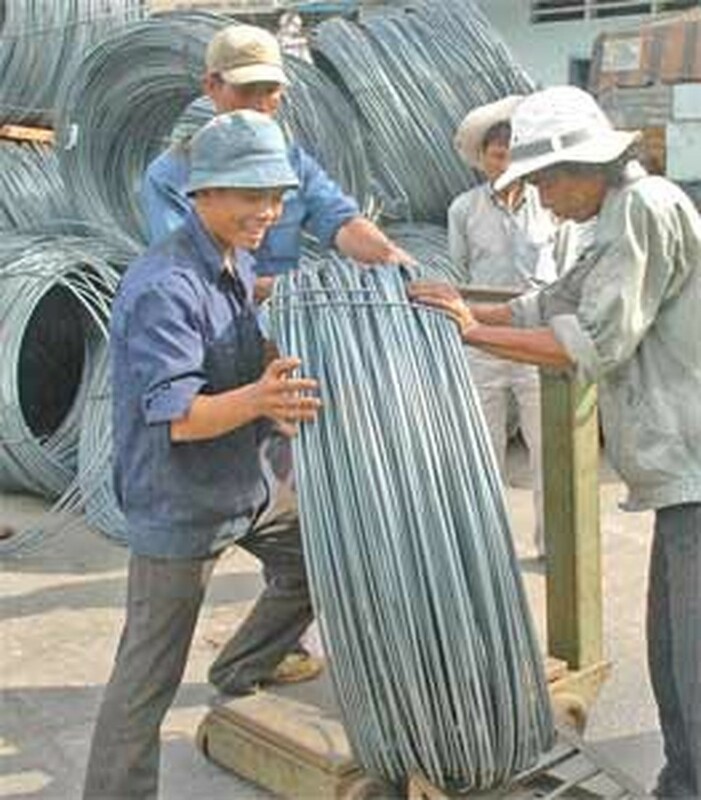 Concerned that obsolete technology could be brought into the nation, the Vietnam Steel Association has warned local enterprises of the possibility and advised them to select only foreign partners with modern technology from countries with advanced metallurgy. The country’s current supply of steel rods exceeds two million tons a year, which is higher than demand. Nguyen Kim Son, chairman of the Vietnam Steel Corporation, explains that many steel companies are focused on reinforcing rods for construction. The idea of producing steel ingots, from which the rods are made, holds little appeal to them and gets ignored.